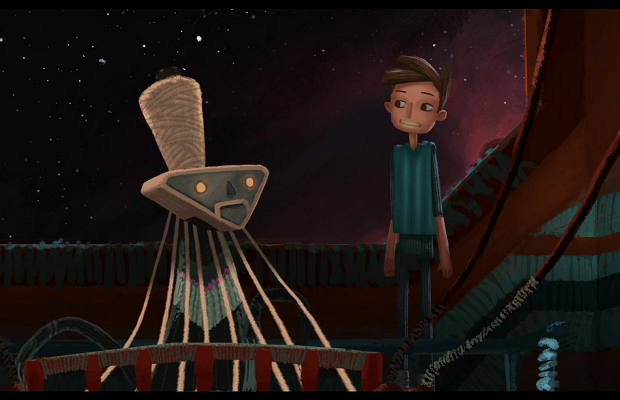 Broken Age, The Kickstarter phenomenon from Double Fine Productions, has announced that Elijah Wood is voicing Shay, the game’s second main character. The news comes via the VGXs, where they also revealed an extended look at the game. The game will star two young protagonists looking to break free from the shackles of their humdrum lives. As can be expected with a game from Double Fine and Tim Schafer, it will be boast an incredible art style and play much like the average point-and-click adventure from the early 90s. After initially requesting only $400,000, Broken Age eventually raised over $3 million, which led to the project being split into two parts. We can expect the first half of the game sometime in January, 2014.